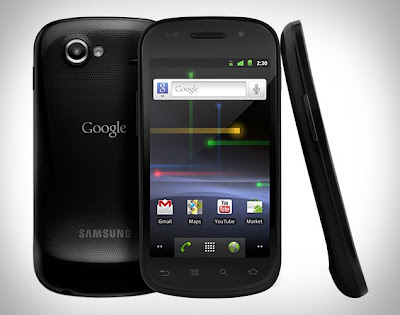 Last month, Sprint announced the new variant of the latest Google smartphone, the Nexus S 4G. It is the first smartphone to feature the Android 2.3 (Gingerbread) Operating System along with the 4G Connectivity. It comes with a 4 inch Super AMOLED display, 1 GHz processor, 5 megapixel camera with HD (720p) video recording, NFC and more. Sprint Nexus S customers also will be able to easily use their current Sprint wireless phone number as their Google Voice number without having to port their number. This handset will be available exclusively on the airwaves of Sprint in the US. Check out the complete specs, after the break. Google Nexus S 4G features a 4 inch WVGA SUPER AMOLED display with 800 x 480 pixels resolution, 1 GHz application processor, Android 2.3 (Gingerbread) OS, Wi-Fi, USB 2.0, Bluetooth 2.1 with EDR, 4G connectivity, 5 megapixel camera with flash, VGA front Camera, HD (720p) video recording and so on. Other features include a 3.5mm headset jack, Stereo Speakers, Accelerometer, Digital compass, Proximity and Light Sensor, NFC Capability, A-GPS, 16 GB internal memory, 512MB RAM,4G Mobile Hotspot capability, Android Market and a 1500 mAh battery. This handset measures 124 mm x 63 mm x 11.2 mm and weighs 131 grams. Google Nexus S 4G is currently up for pre-order at Best Buy. This handset comes with a price tag of $199 with a 2 years service agreement. You can also buy this smartphone without any contract for $499. To pre-order this handset, just head over to this page.